Pete Grelle, an alum of the Beverly, Mass. Cardinals (1969-1974), submitted this photo and caption. 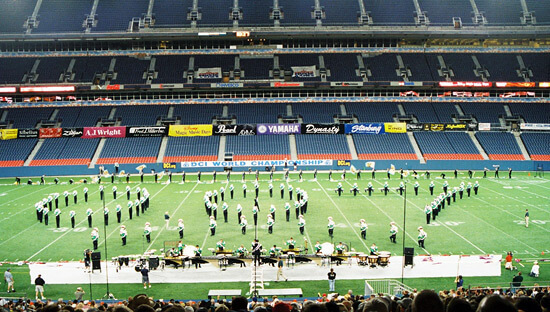 This photo is of the Cavaliers taken during the 2004 DCI World Championship Semifinals at Invesco Field at Mile High, Denver, Colo.